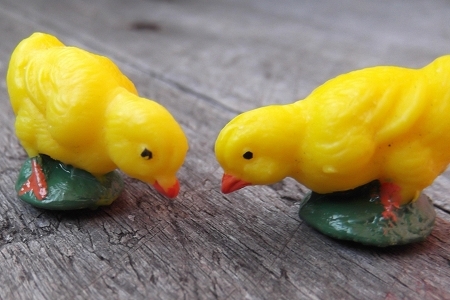 We all have it in one way or another - spirit. 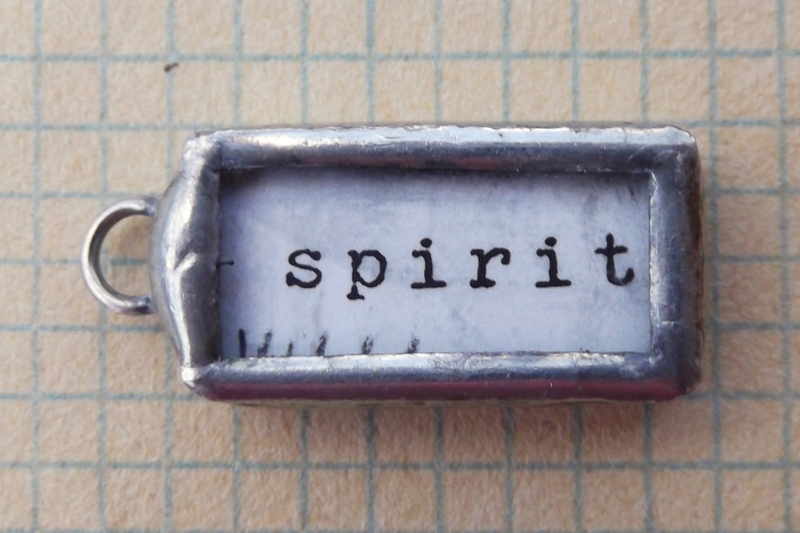 Maybe it's a good spirit or a bad one; school spirit; work spirit; .... Or maybe you feel the spirits around you. Perhaps you might want to send your spirit to a loved one. 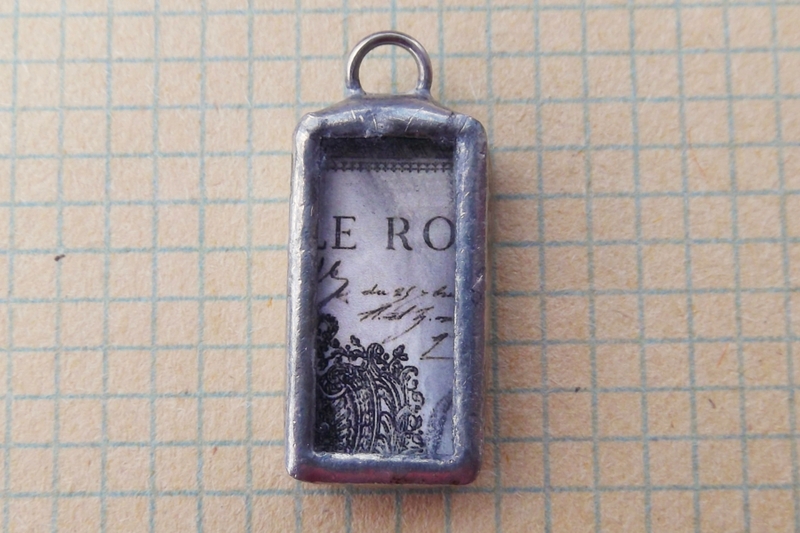 This artist made charm (or pendant, if you prefer) is made of glass and then hand soldered. It has an old fashioned look. On the front is "spirit" and on the back is a tiny reproduction of a vintage scroll. 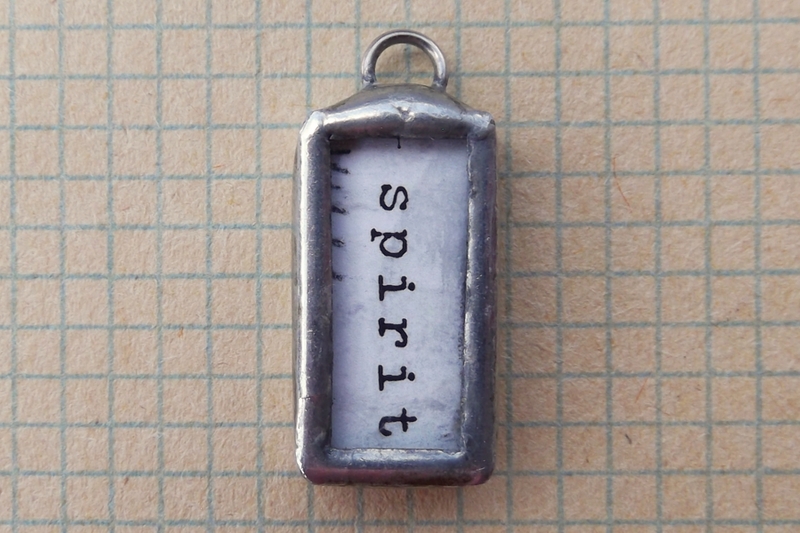 The charm measures 1 inch high (1-1/8 inch with the hanging hole) by 7/16 inch wide by 3/16 inch from front to back.